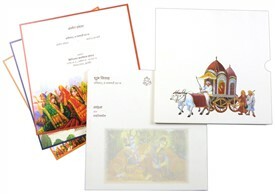 D-6262, Orange Color, Multicolor Offset Cards, Hindu Cards. 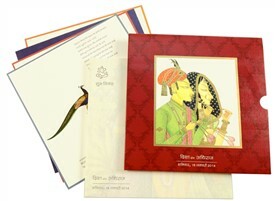 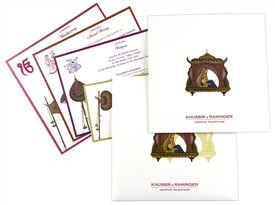 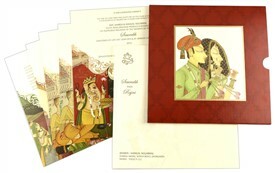 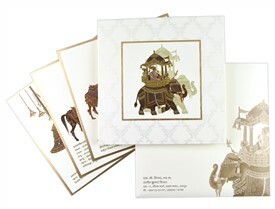 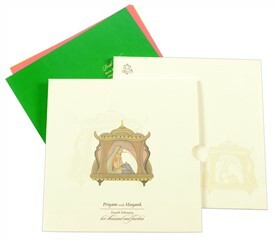 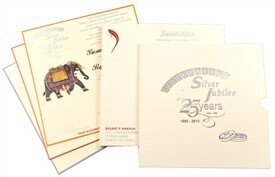 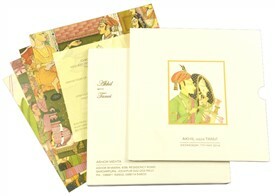 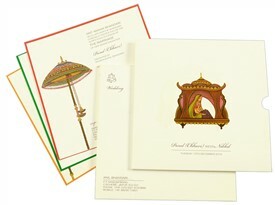 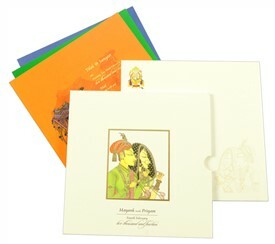 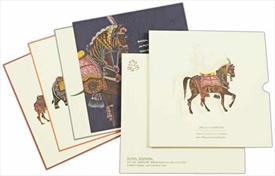 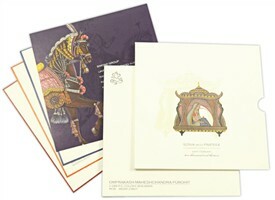 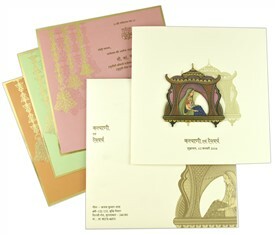 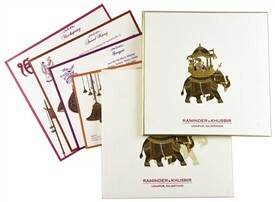 The card front has Bride-groom as main picture symbolizing the sacred Wedding on a saffron color background. 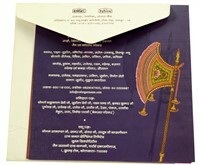 The inserts are multicolor and depict various wedding icons as Bells, Wedding Umbrella (Chhatra), Fan and Horse, each having different color border.